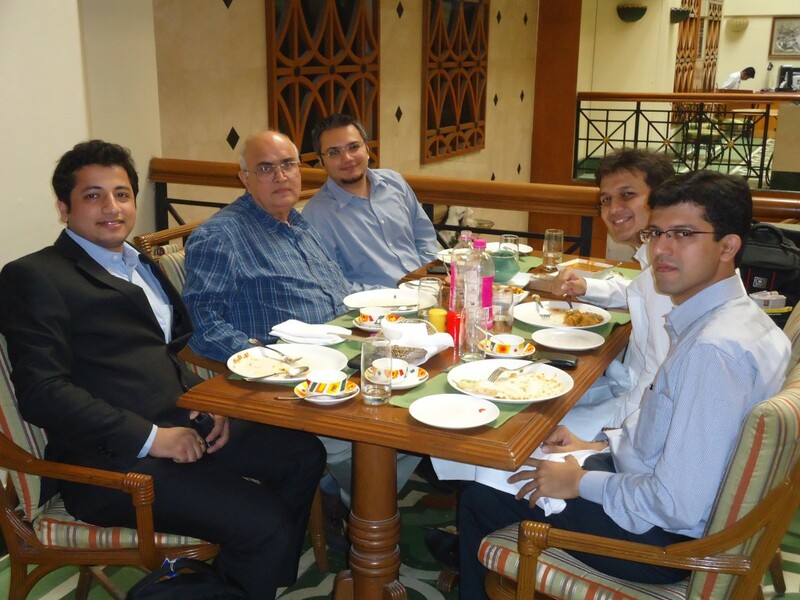 Recently TiE Mumbai hosted an exclusive business builder breakfast session with Mr. Kanwal Rekhi- a Serial entrepreneur, iconic investor and the co-Founder of the global TiE Network. Around 70+ entrepreneurs turned up at 8.15AM in the morning for the 2 hour session. Fortunately for me, Kanwal had a flight to catch a little after lunch, and I , along with three others, volunteered to ‘hang out’ with him and drop him at the airport. Simply put, we just got plain lucky to get to spend a few hours over lunch with the 66 year old genius and learn some great insights and get some personal mentoring. These are some golden intangible perks that you gain by volunteering at networks such as TiE. The entrepreneurial gene is randomly distributed, you are not an entrepreneur just because your parents are or not. Many entrepreneurs hail from the defense backgrounds. Only 6% of startups in the USA get funded. Only 2 % of the USA population succeeds as entrepreneurs. In India it is 1-2% and in Nigeria, the number is 10%. In Japan, the word ‘entrepreneur’ is almost synonymous with a cheat. The biggest motivator for a human being is not the reward, it is fear. The fear of getting left behind, not getting in etc. is more motivating. The young kid who sells books on the road knows math much more than the kid who goes to school- he has the fear of losing out in life v/s not scoring the best marks. Keep yourself out of the comfort zone- that’s what entrepreneurship is about. (From several transformations in his life): If you’re good at what you do you will go up quickly, its like going up the hill. Once you are on top of the hill, the next step is always to come down. You can sit there and stagnate but if you want to climb up the next hill you have to come down first. Indian’s do well because they are brought up as in a competitive society. You can choose to be like gorillas (heavyweights), chimpanzees ( specialist in a particular geographies) or monkeys (who do survive, but on peanuts). For e.g. In the automobiles sector : General Motors (Gorillas), Porsche and Volvo (Chimpanzees- specialists in a particular type) and we know many monkeys around. There is no formula in entrepreneurship. However, the formula that I use is learn 10x more than I teach. Venture capital is not about business modeling and other MBA analytics- that helps in fully formed and stable business model that works more at the PE business. VCs need to understand the startup dynamics and be able to empathize with an entrepreneur. This comes either by running an enterprise or working closely with a large number of entrepreneurs. Don’t blame the VP engineering for the product bust or the VC for lack of funding- accept that you couldn’t hire the right person or anticipate the funding requirement/unable to manage costs. Many times you have to let go the idea to build a sustainable enterprise. Entrepreneurs who are hung up on ideas and averse of adapting are most likely to fail. Its easier to survive in India without VC money than in any other place in the world. You have family support system here that funds and mentors you. Incubators assume that there is a proven model- but there isn’t one. There hasn’t been any major winner emerging out of an incubator yet. The entrepreneur has to evolve in the rough and tumble of the market place. An incubator cushions the entrepreneur. You need to learn every small decision making, running errands, signing leases – each of these prepares you for the next stage. If you are too dependant on an incubator you cant become a tough hardened entrepreneur. It’s the small decision you make that help and teach you for the long run. Incubation is not totally bad, it’s a hop step- it’s a good place to start once you have quit your job and need a place to start going to, before you find your own. TiE is like a temple where you meet like minded people, draw inspiration, get mentored. It’s not the end but one of the tools. You acquire knowledge and wisdom over a long period. You develop your knowledge and belief by working with entrepreneurs. At TiE this knowledge gets transferred in a very efficient way. For an entrepreneur, if even his arts improve by 5% he gets a new perspective of looking at his challenges. That’s the magic of TiE. Finally, his favorite entrepreneurial song from where the lyrics have been quoted.